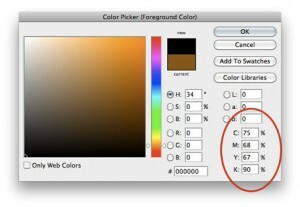 RGB documents are meant for screens, and CMYK documents are meant for printing. 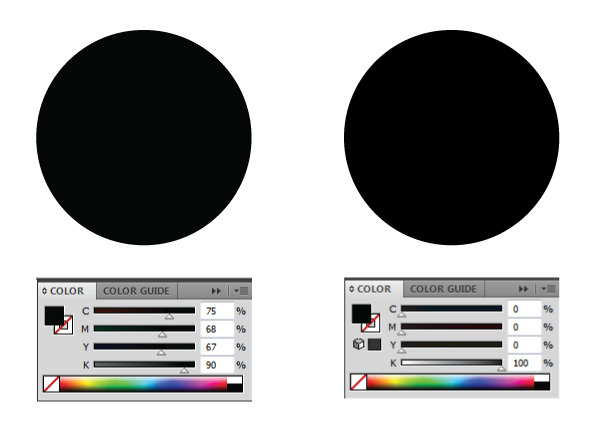 Therefore, when you print a CMYK document and you need a really rich black it’s important to remember one thing: 100% K isn’t the blackest black you can get. The blackest-black you can get when printing in CMYK is C-75 M-68 Y-67 K-90.